There is often some confusion when it comes to HCG diet phases as they are not a part of the original Dr.Simeons protocol. The phases are a part of Kevin Trudeau’s HCG diet, which is modified original HCG diet. You are asked to exercise at least one hour per day, increase your water intake and cleanse your body through recommended hcg supplements. This phase is optional but highly recommended. Phase 2 starts with an initial 2-3 day food loading. You can have all the taboo foods like pizzas, cookies and burgers to your hearts content. After the loading, HCG 500 calorie diet comes into play. The diet is very similar to the original Dr. Simeons protocol. You are asked to take HCG injections or drops appropriately three times a day. This phase can last from 26 days to a maximum of 46 days, depending on your weight loss goal. 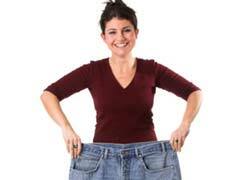 HCG hormone is an appetite suppressant, so you may not feel hungry. You might also experience reduced food cravings unlike on the other restrictive weight loss diets. The hormone supposedly maintains a constant body mass, signaling the brain to burn stored fat for energy. You will maintain your current weight through controlled way of resuming healthy eating by avoiding sugars, starches and artificial sweeteners. You can reduce the quantity of HCG shots taken. In this phase, you will slowly add natural sugars and starches and continue to stay physically active. It is recommended that you stay in this phase for some time before starting another round of the diet. It is advised to follow the entire process for at least 44 days. If you are looking for diets that are not very restrictive towards sugars and starches, you should consider trying diets such as calorie shifting diet.